Some short stories to learn more about the children. To protect people’ s privacy, we don’t put their real names. 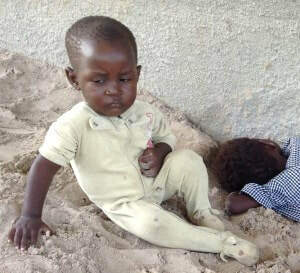 These two children’s mother died and were neglected by their step mother who left them alone much of the time. One day when they were hungry and wanted to eat supper, the older one, Mary started a fire and began to cook porridge. The younger girl, Ann, got burned and suffered severe burns but thankfully now has healed. Both girls have scabies but are healing slowly. 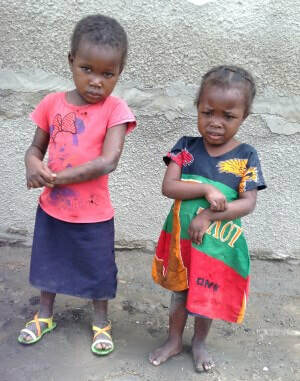 Before they were brought to Khumi Children’s Village they had severe sores all over their bodies. They had digestive problems but after we prayed for them, they have both recovered from this. Now they are able to play with the other children and learn in their studies. We thank God for this opportunity to serve their needs. Khumi Children’s Village has four major functions, one of these is counseling. One woman, Rose had the misfortune of having her parents die when she was four years old. When this happened all of her parent’s relatives abandoned her and the other orphans so she never grew up knowing who her relatives were. At the age of 10 Rose was living on the street where a Good Samaritan found her and took her to her home for 5 years. Rose was adopted there but unfortunately the adoptive father took advantage of her and she became pregnant as a result of this. When the adoptive mother found out she was pregnant by the adoptive father she threw Rose out of the house. Rose stayed in the bush for several days expecting to die there and one day decided to go to the river to die. But instead of dying there, she met a woman from Khumi Children’s Village who rescued her and brought her to Khumi Children’s Village counseling room. After counseling for a while, she decided to keep her baby. 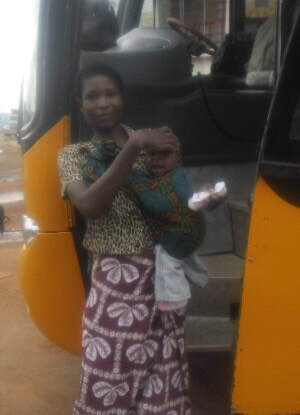 Khumi rented her an apartment and covered her costs until she delivered her baby. Subsequently she had further difficulties and is now requesting additional help for herself and the baby to settle. John fell sick of cerebral malaria when he was three years old and became paralyzed at that time and stopped growing. He is unable to speak but is able to hear. His father died in 2008 and his widow mother has been taking care of him along with assistance from Khumi Children’s Village. His mother is no longer able to take him to physiotherapy and has been keeping him at home and has been having a difficult time feeding him and the rest of her children. His mother decided to come for help at Khumi Children’s Village and we gave him a wheelchair, clothes and food. Bill has been brought to Khumi Children’s village for refuge and supporting care . He was born to a mentally ill mother. He likes the school. He needs clothes and other sundry items. 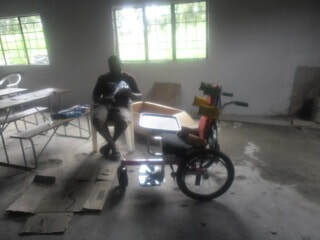 Please pray for Bill to lead a normal life as he awaits the completion of the accommodations that we are building.